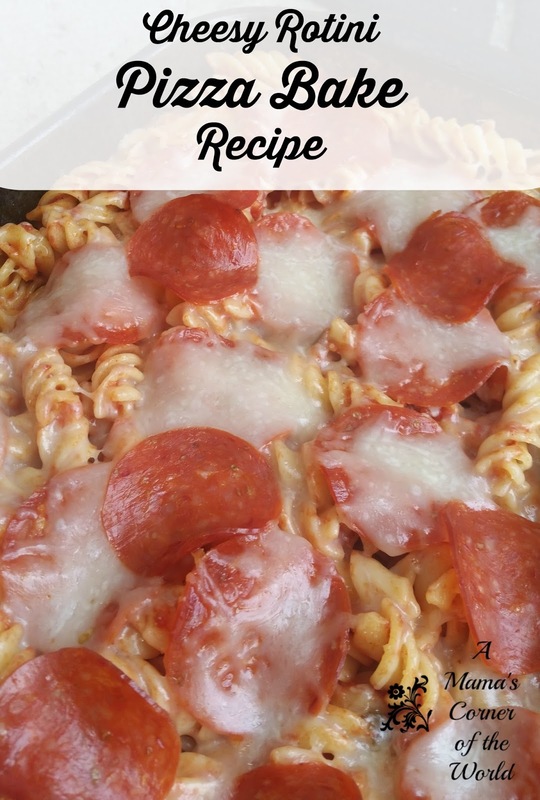 Pasta dishes have always been some of my favorite, make ahead meals for busy weeknights. I especially love this Cheesy Rotini Pizza Bake recipe because I can bake it ahead--and even warm it up if need be. I just pack serving sized portions into thermos style containers to take dinner on the go when the girls are booked with back-to-back evening activities. They get a warm dinner--that I'm not scrambling to make at 7 or 8 pm! 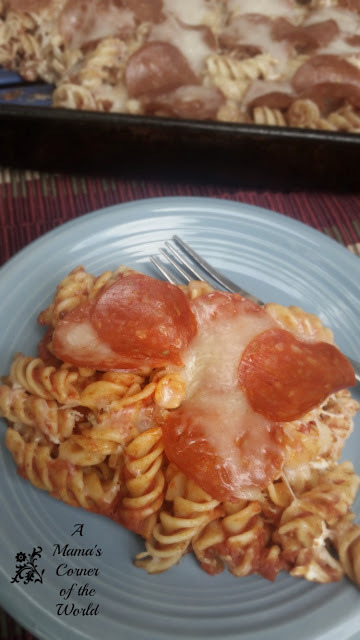 What is my Cheesy Rotini Pizza Bake Recipe? Prepare Baking Dish & Preheat Oven. Preheat the oven to 350F. Spray an 11x7 inch baking dish with cooking spray. Combine the Cheeses. In a small mixing bowl, stir together the Ricotta or cottage cheese, 1 cup of the shredded Mozzarella cheese, the Italian seasoning and the black pepper. Set the mixture aside. Mix the marinara sauce and the pasta. In a large mixing bowl (or directly in the pasta pot), add 2 cups of the marinara sauce to the pasta and toss to coat. Set aside the 3rd cup of marinara sauce. Build the Cheesy Rotini Bake. Add the reserved cup of Marinara sauce to the bottom of the baking dish and spread evenly. Add half of the pasta mixture. Spread the entire bowl of cheese mixture over that layer of pasta. Top the cheese mixture with the remaining pasta, the remaining Mozzarella cheese and the pepperoni. I usually put the pepperoni under the cheese--and then add some extra pepperoni to the top. Bake and serve. Bake covered for 25 to 30 minutes. Serve with salad and warm garlic bread. Disclosure: We were not compensated for this post; however, our posts may contain affiliate links from which we may receive slight compensation should you purchase a product or service via our links. We only link to products or service that we personally use and recommend in our recipes or projects.